From BBQs to picnics, summertime is the season for outdoor parties and get-togethers. And you can add to the fun by serving cocktails or mocktails in jam jars! Not only will they look pretty, you can also prepare and chill them ahead so you can spend more time enjoying yourself rather than just hosting. Here are some gorgeous ideas, some low in sugar too! 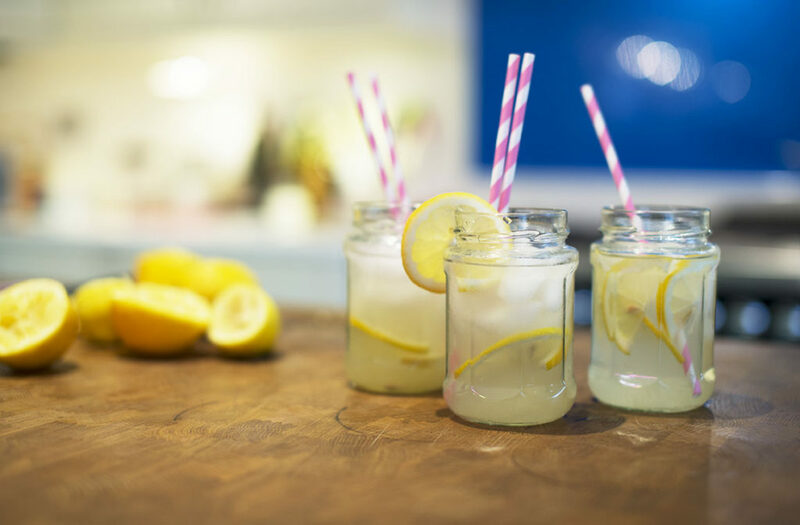 Combine lime juice, ginger, stevia, sparkling water Get the recipe for this deliciously sparkling and refreshing drink here. Drop a few fresh mint leaves and cucumber slices in water for a super refreshing and elegant drink. You can also stir a splash of lime, lemon or orange to add a little zest.